Sadly, I’m not much of a morning person, so I’m not likely to make anything elaborate for breakfast. Every once in a while, however, I am inspired to bake a little something different we can enjoy for a morning treat. My usual breakfast is a bowl of yogurt and granola. I’ve never been a cereal and milk fan, but I can get excited about a bowl of yogurt and granola. I decided to try incorporating that combination into a batch of muffins. That proved to be a very good idea. The muffins themselves benefit in the moistness category by the addition of yogurt. Plus, the granola gives them a nice crunch plus some additional flavor. Of course, I can never resist a streusel topping. 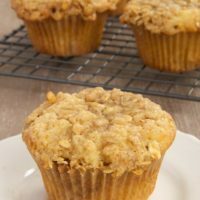 These muffins are topped off with a simple and sweet streusel that incorporates even more granola. 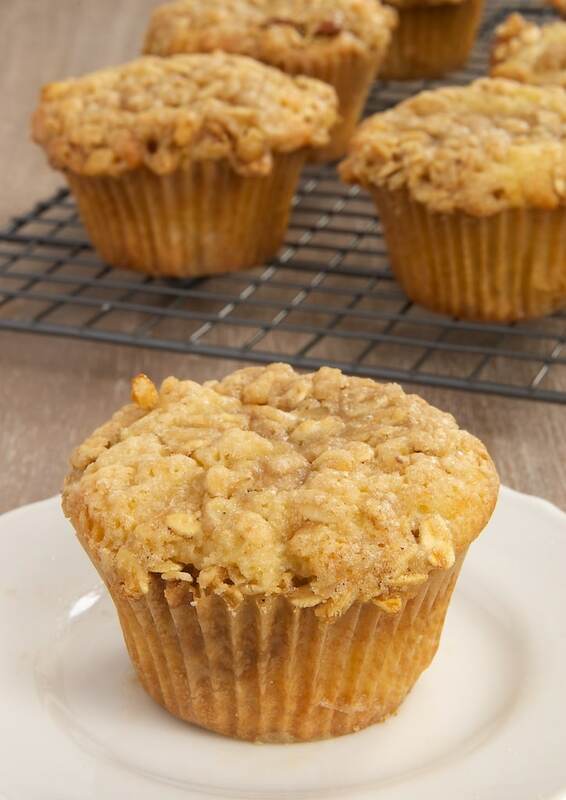 It probably goes without saying that the flavor of these muffins can change by using different kinds of granola. I used a granola made mostly of oats and almonds. Have fun experimenting with different varieties! And, be sure to pass along any especially good combinations. Preheat oven to 375°. Line 12 standard-sized muffin cups with paper liners. Whisk together flour, granola, baking powder, baking soda, and salt. Set aside. In a separate bowl, mix sugar, yogurt, butter, eggs, and vanilla until well blended. Add flour mixture, and mix just until blended. 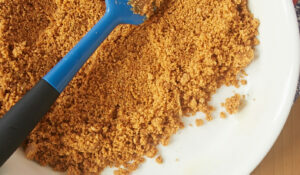 Combine granola, brown sugar, and butter until combined and crumbly. Sprinkle evenly over muffin batter in pan. Bake 15 to 18 minutes, or until muffins are set and edges are browned. Cool in pans on a wire rack for 5 minutes. Then, remove from pans to cool completely. *Most any granola will work. I used Bear Naked Vanilla Almond Whole Grain Granola. If you use a granola with dried fruit, I recommend picking out the fruit when making the streusel. These look great! I was wondering if you think they would freeze well? 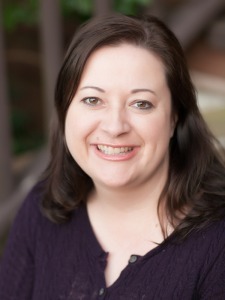 Hi, Ingrid. I haven’t frozen these, but I think they would freeze just fine. Mmm these sound super delicious! 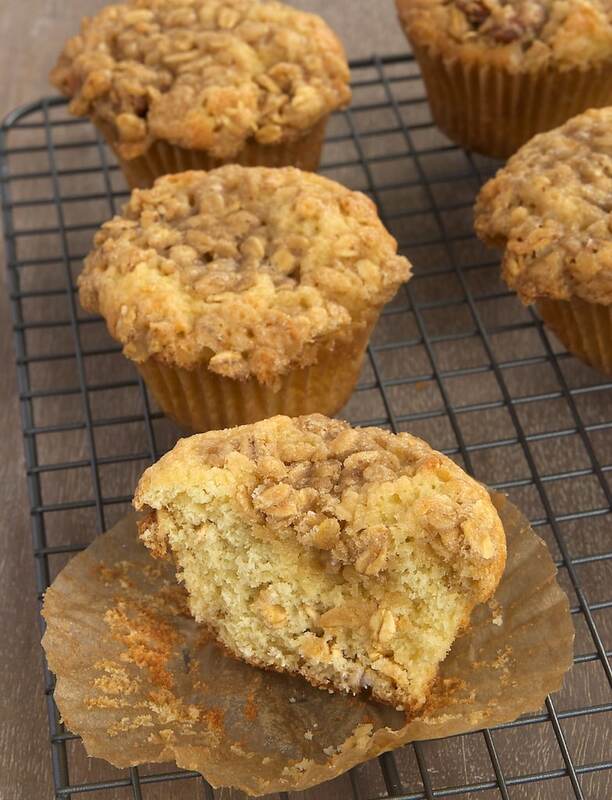 These do look so moist, and the granola streusel is such a creative idea. 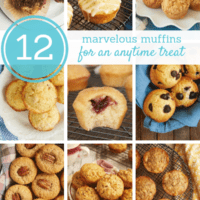 I can imagine these would be amazing using homemade granola, too! They are Huge.. i usually ate everyday a heavy breakfast but this looks so good. 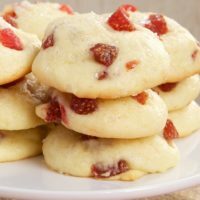 Maybe i will make them when my future girlfriend-to-be spends the night with me and needs a light breakfast to keep going her day. I can’t do anything in the morning until I’ve had my coffee! 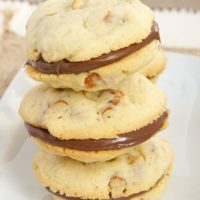 I’ll have to make a batch of these the night before I want to eat them. 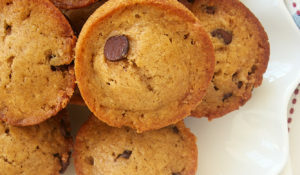 Love that they are basically my normal breakfast but in muffin form! Same here, a good portion of my diet consists of yoghurt and granola. Can’t remember the last time I had a bowl of cereal and milk. There’s something so wholesome and comforting about yoghurt and granola in the morning. 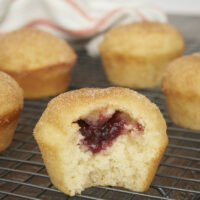 Having it in muffin form just takes it to the next level. Yum! 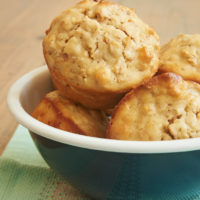 I am a yogurt and granola girl as well, so I am already a fan of this muffin.. Thanks for the recipe! Love these muffins. Who can say no to the streusel topping? Pinned. 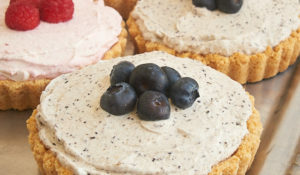 Yogurt and granola is my very favorite breakfast, and I adore muffins, so these little gems sound perfect to my ears. 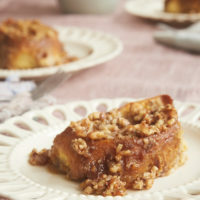 Plus, I just can’t resist a streusel topping! Beautiful muffin, Jennifer! This would make the perfect breakfast! I’ve been wanting to make these as soon as you posted them, and I finally did last week. Delicious, moist and crunchy from the granola on top. What a great idea! I used a granola with mixed nuts and basic oat clusters. This brand also has a chocolate variety, with chunks of dark chocolate. That sounds rich and dangerous, but I’ll probably make them in the near future! Glad you liked them, Kendall! It’s fun to try different granolas. I whole-heartedly agree with the chocolate version! My streusel on top burnt a little bit, but the muffins were perfect. Any remedy for burning the streusel? Check your oven’s temperature accuracy with an oven thermometer (if you’ve not already done that). You might also try baking with your rack place a little lower in your oven. I made this into 2 mini bread loaves with Bear Naked Triple berry granola. It’s amazing! I’ll have to try it with that kind of granola. Sounds wonderful! Can i use pumpkin puree instead of butter and yogurt??? I realize it will change the texture, but I love pumpkin. Hi, Kali. That’s a pretty big substitution, so I can’t really answer well without further recipe testing. If you’re looking for a pumpkin muffin or bread, how about this Pumpkin Pecan Bread?